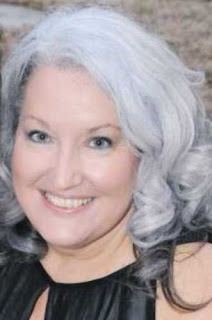 Tammy365: Meet Kathy W. Mashburn, Author of "A Birthday Clown for Archer"
Meet Kathy W. Mashburn, Author of "A Birthday Clown for Archer"
This adorable clown face is on a page in Kathy's new book A Birthday Clown for Archer. Kathy is an intriguing lady with a sweet smile and warm spirit. Kathy and I attended Murray County High School together (no dates required). We share a passion for writing, our faith and love for our families. I want you to get to know Kathy as I do and I know you'll love her too. You can buy her book by clicking the link of the title above. I'll give you Kathy's contact info later, after our interview, because I know you'll want to contact her for your own special reason. Kathy, what or who inspired you to write? I began writing in the fifth grade when my teacher, Mrs. Brannock, gave an assignment to keep a daily journal about something going on in our lives. Handing me a thin red spiral notebook to write in, she couldn't have known the profound impact it would have on me in years to come. That simple wire-bound notebook became a bible of sorts to me as I captured my every thoughts, ideas, and dreams inside its pages. In high school, Dr. Peggy Quarles further inspired me to write. She ignited my passions instructing our class to again write daily journals. By then journaling had become a habit, and her renewed request caused an even greater appreciation in reading, writing, and storytelling in me. It is because of Dr. Quarles's encouragement and advice to write about anything and everything lurking behind the doors of my imagination, that I continue to keep pen and paper handy every day. Are you a fulltime or part-time writer? remember a single day I have not written in my journal, or scratched out a new idea or story, or scribbled random thoughts on a napkin while dining. Writing is a part of everything I do. Most days I set my alarm clock to awake an hour earlier than I need to prepare for my full-time paid job. I enjoy writing so much I keep index cards on my nightstand to write down my dreams on the occasion I am lucky enough to remember them when I wake. Everywhere! Seriously, I am inspired by so many things like people, places, my family, my friends, and news events. I am a good listener, so I pay attention to snatches of conversations around me to get ideas. I consider this unintentional eavesdropping because people everywhere talk openly about their lives, their pets, their jobs, etc., which often turns into a story or an idea for a project. I also practice really looking to see things with a ‘curious eye’. I try to see things differently than others might. What types of writing are you interested in? I’ve published three books in three different genres. My first publication was How to Swap Batches of Cookies and Candy with Others, plus 115 Great Recipes. This book came about for two reasons. The first was to find a way to have fun on a budget with my family during Christmas holidays, while the other was to learn all I could about the world of publishing. I had been attending workshops at a local university on writing, so I decided the best way to understand the jargon and business was to get my feet wet. My second publication is a fun “Madea-like” story titled Mrs. Baxter Swarms Mount Vernon High School. She an eccentric grandma who takes things into her own hands to get to the bottom of the troubles her grandson, Norman, get’s himself into a few days before his graduation. She is a wacky and fun lady that’s sure to have readers laughing out loud. 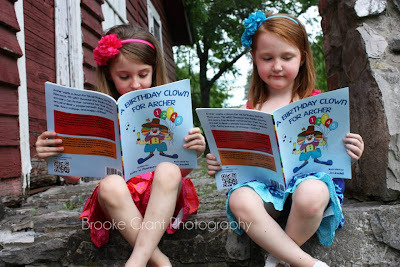 That brings me to the recent publication of my children’s book A Birthday Clown for Archer. This is a simple story about a little boy who wants a clown for his birthday, but his Mom is afraid and says, “NO WAY!” In the story Archer does his best to convince her clowns are not scary at all. What my readers may not know is one of my children was terrified of clowns growing up. As parents we often imprint our beliefs, our likes, our dislikes and our fears upon others. 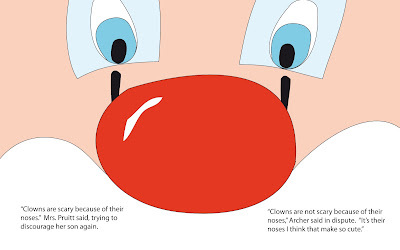 Since writing this book, many of my readers have shared their personal phobias, including Coulrophobia or “Clown-phobia.” This book is meant to spark conversations regarding the fears and joys surrounding clowns. I enjoy writing in different genres just as my life has many different facets. I am currently working on an inspirational book titled Living in the Midst of God’s Plan, a documentary titled A Day in the Life of Beekeeper, and two other children’s books titled Wiggy Wanda and Santa, Are You Ready? Readers can learn more about these projects and others on my website. What was your greatest “Ah-ha” moment as a writer? By far, it is when readers turn out to see me at a book signing. I am both honored and humbled when someone takes his or her time to visit with me. It’s a special feeling when someone spends their money to buy my books, especially when they request me to sign it. That’s my favorite ah-ha moment! Any advice for others who wish to write and be published? I would tell them to NEVER give up! I would also tell them to do a test run by sharing their work with others, including their audience. This will help them sharpen their skills as a writer, especially since an audience is the best frontline when it comes to gathering honest feedback. If you would like to request an interview, schedule an appearance or speaking engagement, or arrange a book signing with Kathy, please email her at kathymashburnbooks@windstream.net. She promises to reply to all emails within 48 hours. Kathy's musings may also be found at her blog, My Writer's Corner. Leave me a comment and let me know if you've read any of Kathy's books! Thanks! Your illustrations are awesome as well!!! Great interview! Thanks for sharing this with us at One Sharendipity Place this weekend! !